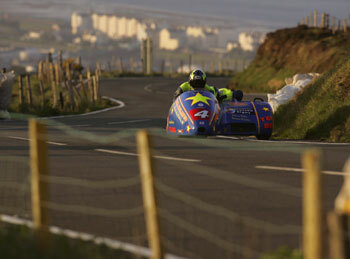 Comments: If Moly does decide never to return to the TT ( who could blame him after his Rhencullen flip) it will put a whole different emotion to this shot taken as Dave and Craig Hallam take Cronk y voddy flat to the stop just 5 miles before the crash. Comments: The TAS GSXR Suzuki Superbike that was the talk of the paddock after data logging reputedly showed it hitting 206 mph on the fastest parts of the circuit. Comments: Great rider, great bike, but not the greatest colour scheme. Sorry I just hate black bikes. Comments: I am my own worst critic, but if only I could have taken this shot maybe 1/2hr later then the shadow might have had a clearer defined silhouette. Well would you believe as I turned to speed off for the next lap who was stood right behind me.... well I didn't know him either, BUT stood next to him was none other than the newly elected TT Riders Association President, N. J. himself. Comments: Mark Millar, the likable Californian, made an impressive debut at the TT winning the 750 class award for the Superstock race. Comments: What a meteoric rise to TT stardom for the young Australian. TT2005 newcomer of the year who rode a supersport Honda CBR600 RR astounded everyone with his scintillating ride to second place in the Senior race, Recording his fastest ever lap of 128.44mph. This makes Cameron the third fastest rider in TT history behind only Mcguiness and Bruce Anstey, remember he had never ridden a Superbike around the mountain course until first practice 13 days earlier, this guy is going to be a massive star and as he said on Radio TT to his family listening back home - " what'dyer reckon Dad, second place, not bad eh!! " Comments: Sunny weather during the whole of the TT period made a visit to the Mountain sections a must - all bathed in a med like late evening glow. 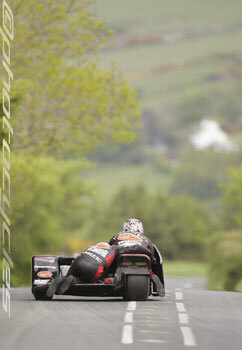 John Mcguiness proved beyond any doubt that he is the current King of the Mountain. 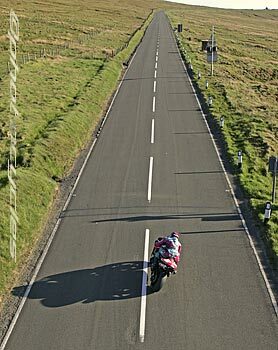 In practice John unofficially broke his own 2004 outright lap record by 1.1 seconds at 127.810, but almost everyone was lapping faster than they had ever done, reveling in the fine sunny weather enjoyed throughout the TT festival. 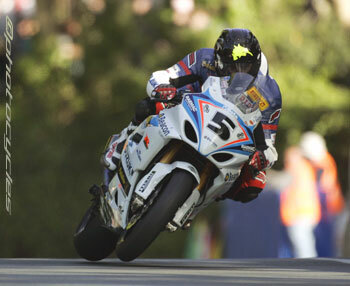 In both the Superbike and the Senior the hectic pace made them them fastest ever races in TT history. 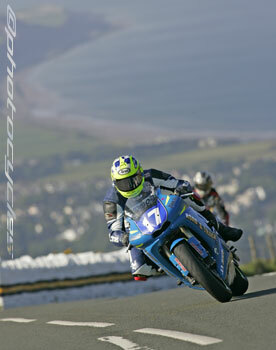 Ian Hutchinson and Australian Cameron Donald were two new names to grace the podium for 2006, they pushed hard, with one more year's experience and who knows what the order could be but for now it was still Mcguiness who they would have to gaze up too at the very top. A second treble put him into the illustrious company of Steve Hislop and Philip McCallen all on 11 TT wins each.